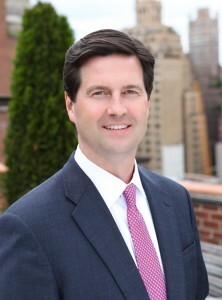 Chris Haynes is the founder and President of Broadacre Financial Corporation. Chris built Broadacre after a 20-year career in real estate lending at Merrill Lynch/Bank of America. He was an integral part of Merrill Lynch’s commercial mortgage-backed securities lending group from its inception in 1994, and was actively involved in originating, underwriting or closing over $20 billion of loans, in over 60 CMBS pools. He was a member of the bank’s credit committee and managed teams of originators, underwriters and closers for a specialized lending platform within the bank. Chris has extensive experience in first mortgage debt, mezzanine loans, bridge loans, earnouts, construction loans, equity and whole loan sales in all property types including retail, hospitality, office, self-storage, industrial/warehouse, multi-family, manufactured housing communities, underlying co-op mortgages and owner-occupied properties. His clients range from small owners to private and public REITs, and Forbes 400 members. Before working as a CMBS lender, Chris underwrote, purchased, restructured and disposed of sub- and non-performing portfolios in RTC and FDIC pools for Merrill Lynch. Prior to joining Merrill, Chris was a loan officer at Home Savings of America, where he managed workouts of problem commercial real estate loans. He began his lending career as an underwriter at White Horse Mortgage Corp.
Chris holds a B.A. in Economics from Fairfield University and a Diploma in Real Estate with a concentration in Investment Analysis from New York University. Chris has been a featured speaker at the Cornell University School of Hotel Administration, the Real Estate Studies Program at UNC Kenan-Flagler Business School, and the Urban Land Institute. He holds his NASD Series 7 and 63 licenses.